The talk show host cited "irreconcilable differences" for the breakdown of their marriage. 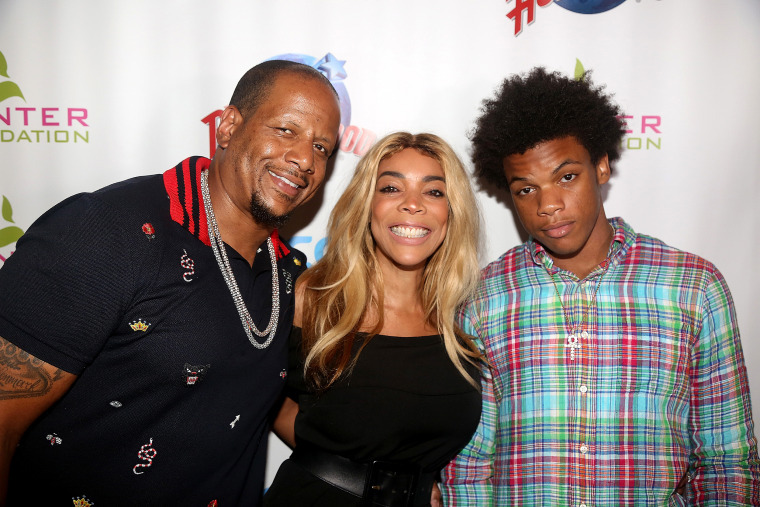 Talk show host Wendy Williams has filed for divorce from her husband, Kevin Hunter. Williams filed a complaint for divorce Wednesday in New Jersey Superior Court in Essex County. The couple married in a civil ceremony in Jersey City, New Jersey, on Nov. 30, 1999, according to a copy of the court filing obtained by NBC News. Williams cited "irreconcilable differences" that "have caused the breakdown of the marriage for a period of six months and which make it appear that the marriage should be dissolved as there is no reasonable prospect of reconciliation," the document states. Williams, 54, is known for her "tell it like it is" humor and her signature catchphrase, "How you doin'?" She flaunted her lack of a wedding band in a video posted to her makeup artist's Instagram account Thursday. A personal representative for Williams told NBC News on Thursday: "Thank you to everyone for respecting the family's privacy during this time. Kevin is supportive of Wendy and they are working through this process together." The representative said no additional comment would be provided. Williams has spoken publicly about her health issues after she fainted while on air during her daytime syndicated talk show, "The Wendy Williams Show," in October 2017. Last February, she said that she had Graves' disease, an autoimmune disorder that causes an overactive thyroid, and would be taking a three-week hiatus. Earlier this year, her family announced that she would be taking an extended break from her talk show to deal with health issues related to her autoimmune disease. Last month, Williams revealed on the show that she has been living in a sober house in New Jersey as part of her struggle with addiction. She did not disclose the nature of her addiction. She said at the time that the only people who knew that she was staying there were her husband and their son.